Micah Gangwer is the Assistant Concertmaster of the Charleston Symphony Orchestra. He has been showcased on public TV and radio, performed at some of the most prestigious venues of the world, and has won numerous national and international awards and competitions. Micah will only work with the best musicians from professional orchestras and faculty from area universities. Instead of leaving anything to chance, hire a true professional violinist! "Violinist Micah Gangwer...he has full command of the violin and can do whatever he wants with it." "...clean, clear and virtuosic." - Columbia Free Times. 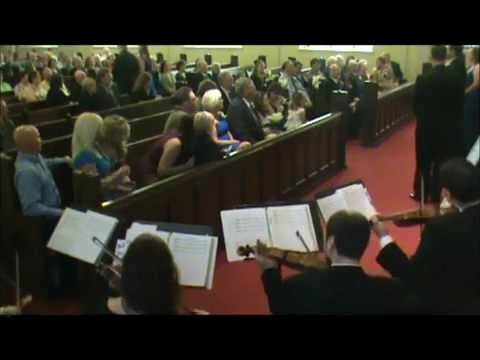 Micah's beautiful music made our wedding day! Micah played the violin at our small, intimate, and elegant wedding at the Wentworth Mansion in Charleston, South Carolina. 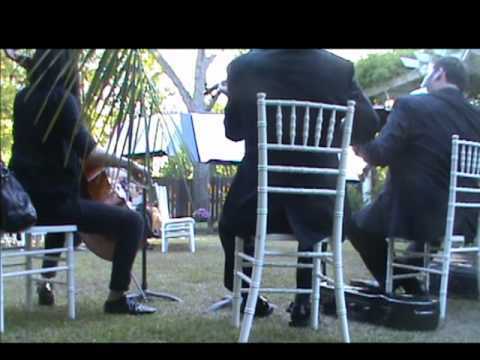 He played beautifully and his music was a significant part of our special day, creating the perfect ambiance for the classy style of wedding we were envisioning. He was a pleasure to interact with - always kind, professional, and responsive. I would highly recommend him to play at any wedding or lovely event. Everything we wanted it to be. From day 1 Micah was great about communicating and understanding exactly what we wanted. He played beautifully and it was the perfect addition to our intimate ceremony. We would highly recommend!!! All I can say is "Awesome". Micah Gangwer is an exceptionally talented violinist. He performed for my wife and I anniversary and it was heavenly. We will be seeking his services for future events. Thank you so much Micah for blessing our ears with your wonderful talent. We hired Micah to provide ceremony music for our outside wedding. It sounded amazing and he was so easy to work with! He always responded to my emails and everything went as smooth as possible. We are so happy we decided to hire Micah, and can recommend him to anyone else looking for music for their wedding. Micah performed for our wedding and we are so happy he did. Lots of complements about the music and how incredible Micah sounded from the guests and it was exactly what I wanted. 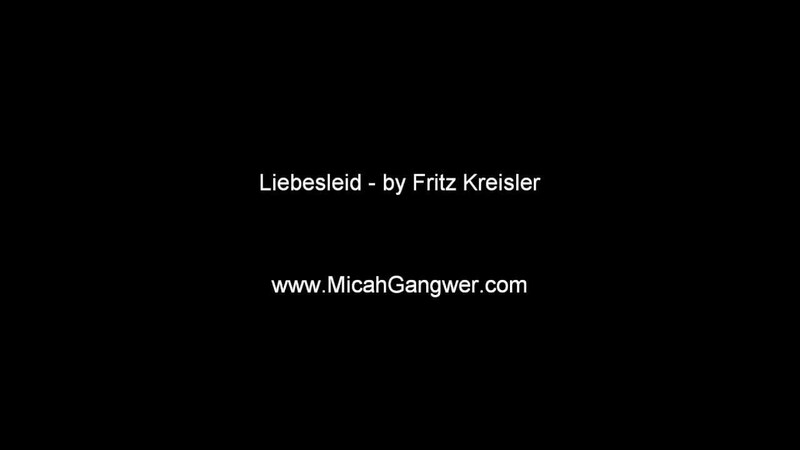 Micah Gangwer played beautifully for my wedding ceremony! I went to college with Micah so I knew that his playing abilities were superb and I would have absolutely nothing to worry about! I really enjoyed looking at his website. 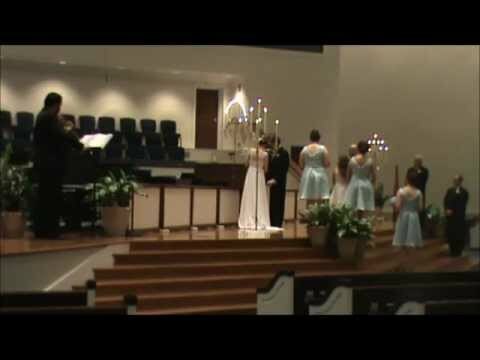 It definitely helped me choose what I wanted played for the ceremony. Micah was very professional every time we spoke and he was very helpful when discussing music. I have gotten so many compliments from family and friends and how wonderful the music was. I would definitely recommend Micah Gangwer for any future bride. You won't have anything to worry about choosing Micah for your ceremony. 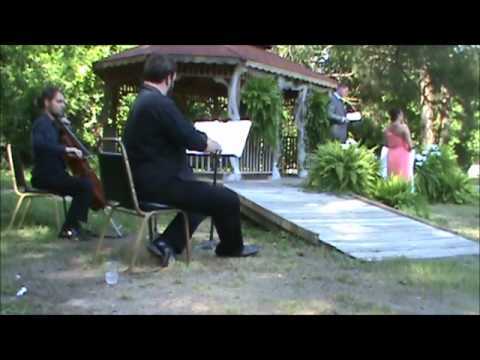 Micah Gangwer and his quartet played my wedding this summer, and my wife and I agree that this was one of the best decisions we made. Eight months later, friends and family are still commenting on how beautifully the string quartet played. Micah was positive, professional, and a delight to work with. He helped us realize our vision of the perfect ceremony. Micah was exactly what we were looking for. His sound is incredible, and he even showed up early to practice a song with my cousin who sang for the lighting of the unity candle. If you need ceremony music for your wedding hire Micah, you won’t be disappointed. Micah and his quartet played for my wedding and cocktail hour. Our guests were very impressed and I cannot thank them enough for helping to make my wedding day so special. He even arranged the Beatles song “All you need is Love” for the quartet to play for the recessional! All the music they played was exactly how I wanted it! We were very satisfied with his professionalism, his availability to speak and meet with us, and most of all his amazing sound. The quality of Micah’s playing is outstanding to say the least. We sincerely offer only the highest recommendation for Micah. I’d strongly recommend Micah Gangwer to anyone looking for a violinist. Breathtaking is the only word I can think of to describe his sound. His music was great! I can’t say enough about his talent and professionalism! Thank You!!!!! Micah and his quartet performed for a party/fundraiser at my house and were a big hit with everyone. They were all professional musicians from the South Carolina Philharmonic, and I will for sure be calling him next time I have any need for live music. Micah Gangwer played in a string quartet for my wedding a month ago and people are still complimenting me nonstop on the ceremony music. The quartet looked and sounded better than any other string quartet I have seen. Micah was very helpful and professional throughout the planning process and made sure my wedding was exactly like I imagined it! Thanks again! Micah Gangwer is the Assistant Concertmaster of the Charleston Symphony Orchestra. He attended Miami University for his undergraduate degree in violin performance, and studied at the University of Oklahoma and the University of South Carolina for graduate school. Micah began studying the violin at the age of four, and made his solo debut performing with the Toledo Symphony Orchestra when he was eleven years old. He has also been showcased on public radio and television as a soloist for the Music Under the Stars series. As a chamber musician, Mr. Gangwer has played in concerts across America and Europe including performances for ambassadors, royalty, and several heads of state (including former Prime Minister Sir John Major of Great Britain). In 2003 Micah was a finalist in the internationally-recognized Coleman Chamber Music Competition as a member of the Lennox Trio. He has been coached by current and former members of some of the premier chamber ensembles of the world, including the Miami, Amernet, Oxford, Debussy, Vienna, and Kronos quartets. Micah has participated and performed in many festivals and institutes including the Oberlin Baroque Performance Institute, Bowdoin International Music Festival, Gamper Festival of Contemporary Music, Salzburg Chamber Music Institute, served as concertmaster of the Piccolo Spoleto Festival Orchestra, and performed for three summers as a member of the Echternach Festival Orchestra.